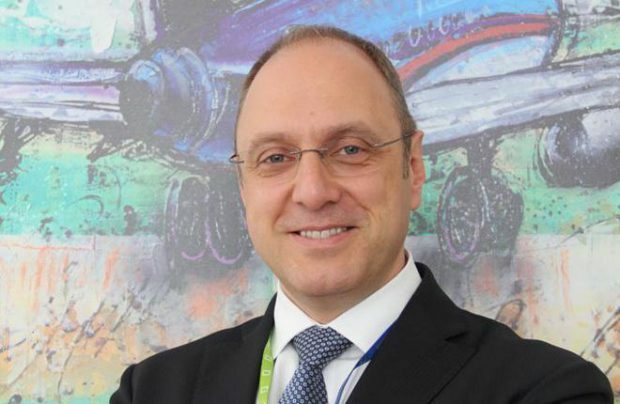 SuperJet International (SJI), the joint Russo-Italian company responsible for promoting and selling Sukhoi Superjet 100 (SSJ100) regional jets, has a new general director. Stefano Marazzani supersedes Nazario Cauceglia, who had held the post since 2012. The managerial replacement comes several weeks after Leonardo, the business’s Italian partner, reduced its share from 51% to just 10%. The remaining stock is now in the hands of OEM Sukhoi Civil Aircraft Company and its parent structure United Aircraft Corporation. SJI says Marazzani was previously responsible for customer support. He joined the company in 2000 and was promoted to senior vice-president for customer relations in 2014, Air Transport World reports. Cauceglia will preserve his other position as SJI president. He will also become chairman of the CJI board. SuperJet International was founded in 2007, and has so far delivered 27 aircraft to its two customers, Interjet of Mexico and Ireland’s CityJet.